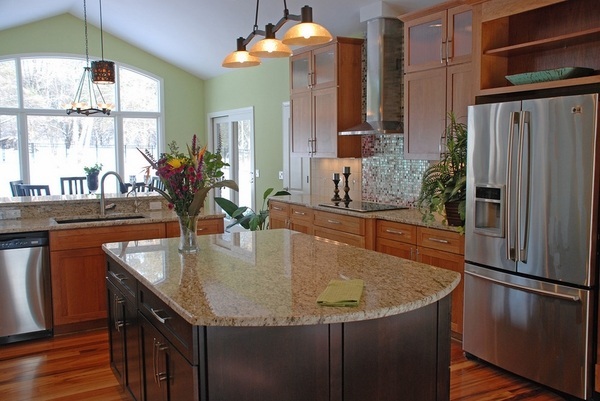 Giallo Ornamental is said to be one of the most popular types of granite ever. 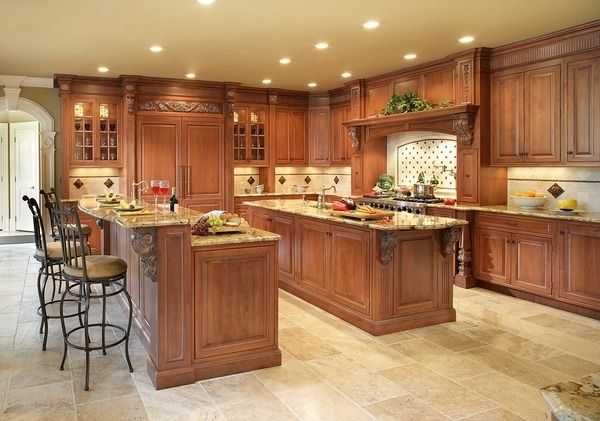 Widely used in kitchen and bathrooms, floor tiles or fireplaces. 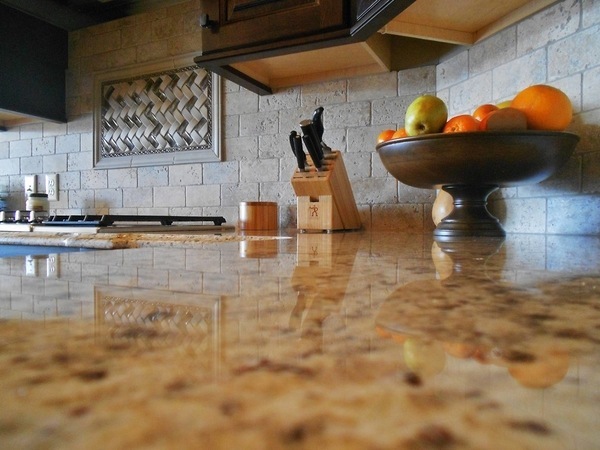 It is also known as Giallo Santo, Amarello Ornamental and origins from Brazil. 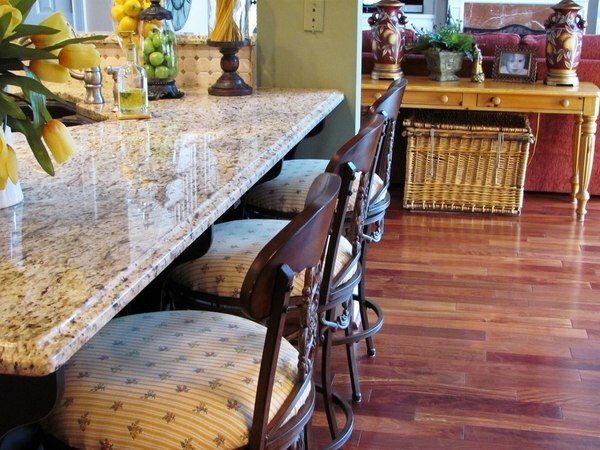 There are several varieties of Giallo granite, classified by color and origin, but the colors warm honey-yellow and flecks of black and gray throughout the stone are its trade mark. 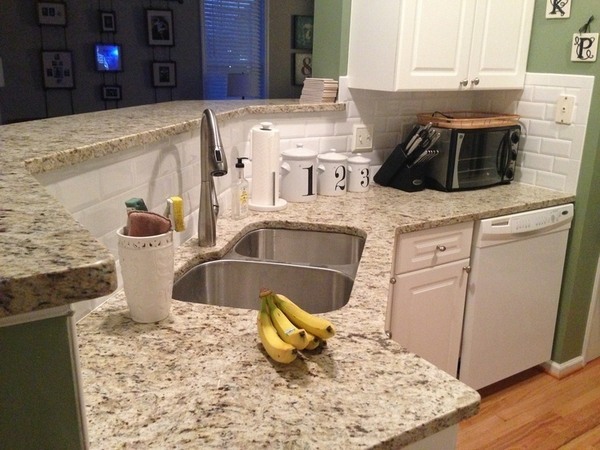 Giallo Ornamental granite countertops in combination with the right complementary colors in your decor will transform your kitchen into a modern elegant and stylish place. 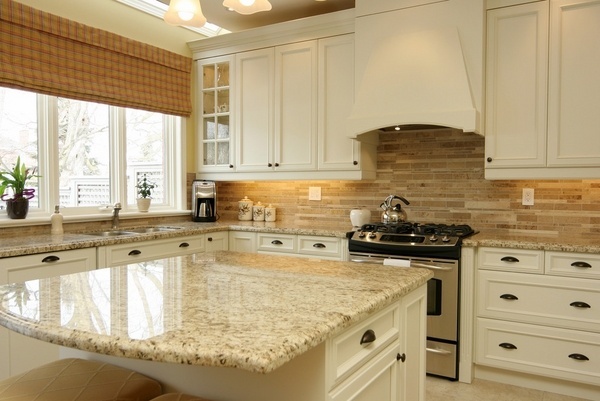 Giallo Ornamental granite countertops are characterized with extremely low absorption which makes them stain resistant. 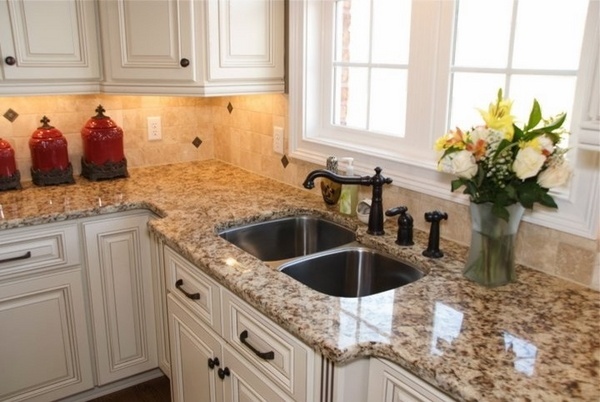 Giallo Ornamental granite is the perfect solution for small kitchens if you followed one of the basic design principles to choose lighter colors for small spaces. 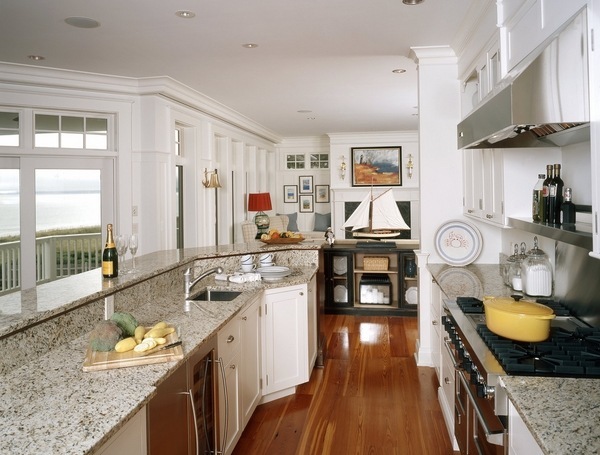 Light colored granite will make the kitchen feel bigger. 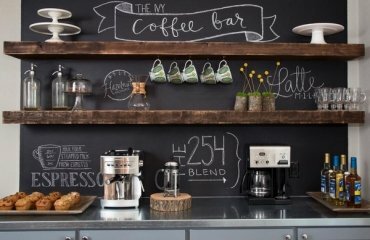 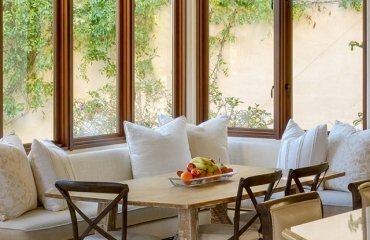 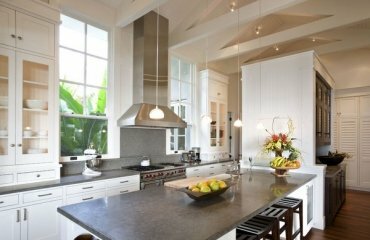 Besides, you add value to your home not only in aesthetic terms but also financially. 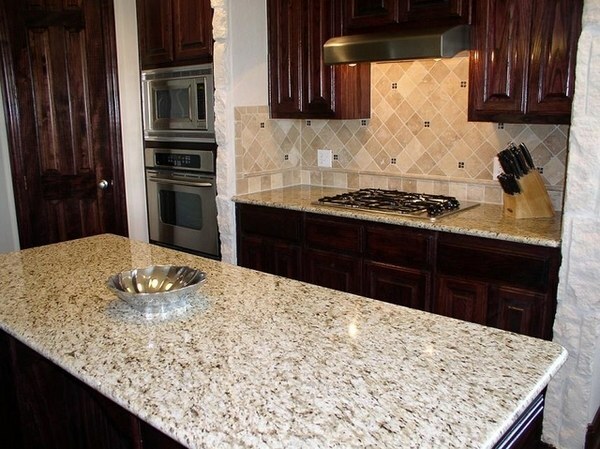 The appearance of Giallo ornamental granite does not vary much in rooms with different lighting conditions which makes it a good choice for rooms with and without much natural light. 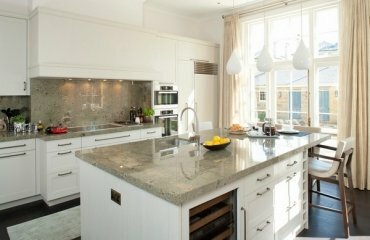 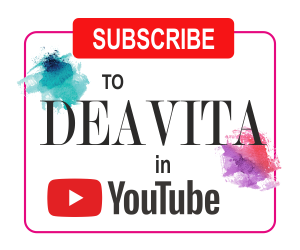 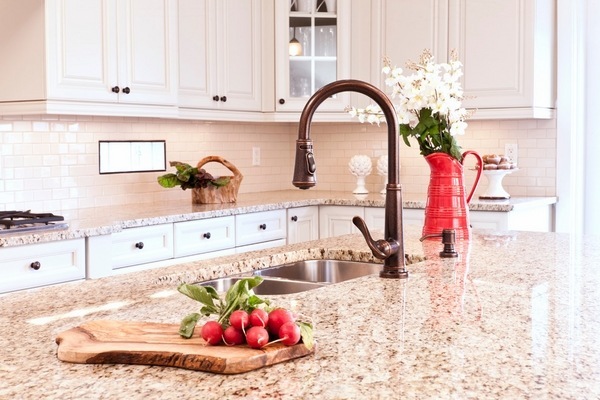 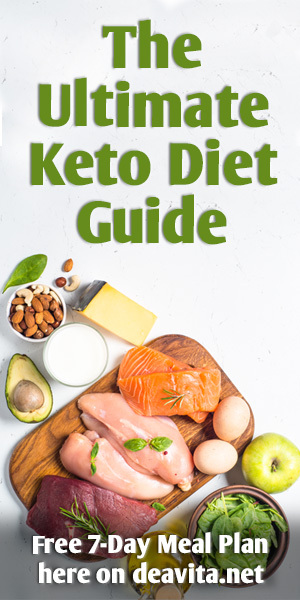 The rich, classic look and feel of real granite will transform any kitchen and you will find some tips and pieces of advice below how to blend in the granite slab into a modern kitchen. 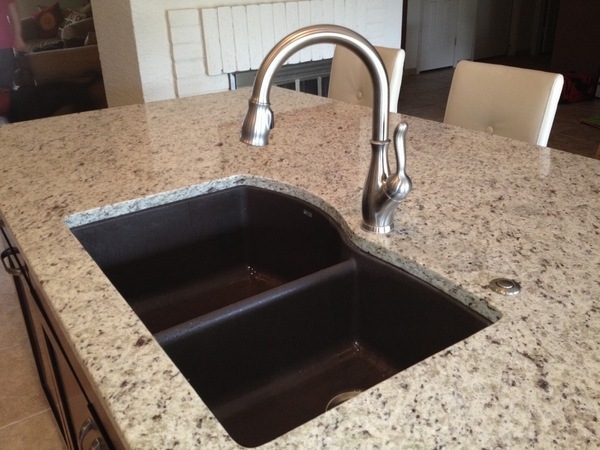 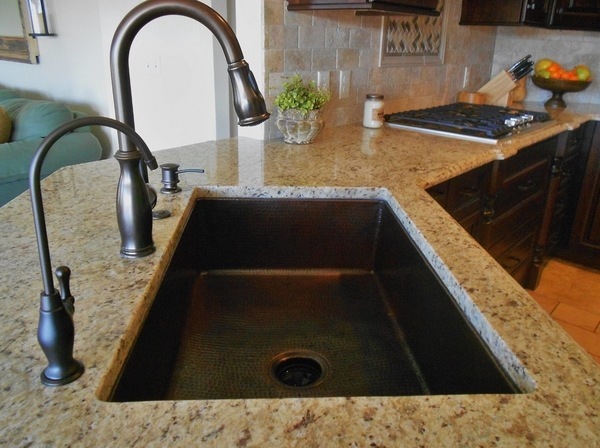 What colors are suitable with Giallo Ornamental granite countertops? 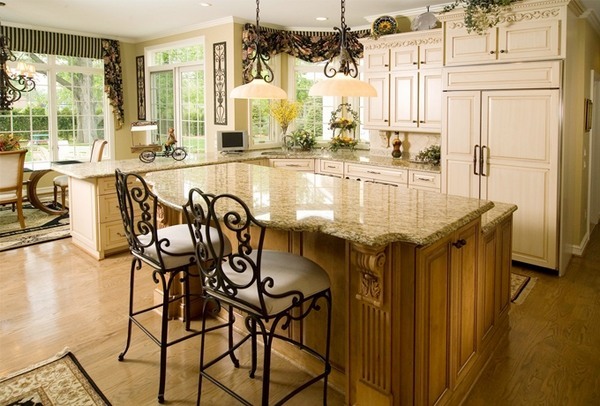 The range of colors of Giallo ornamental granite includes from beige to yellow, white or gray. 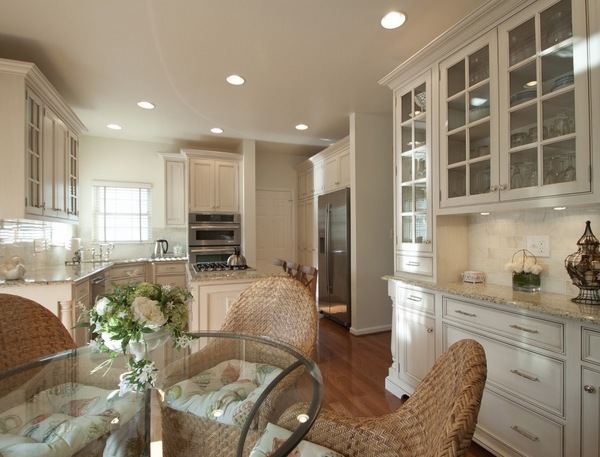 Bright colors will add charm into a small kitchen, and creamy beige shades on the walls will provide soft elegance. 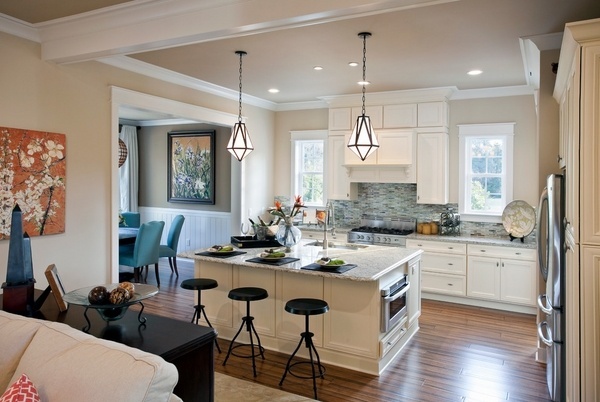 Contemporary designs feature bold contrasting colors like dark gray for the walls. 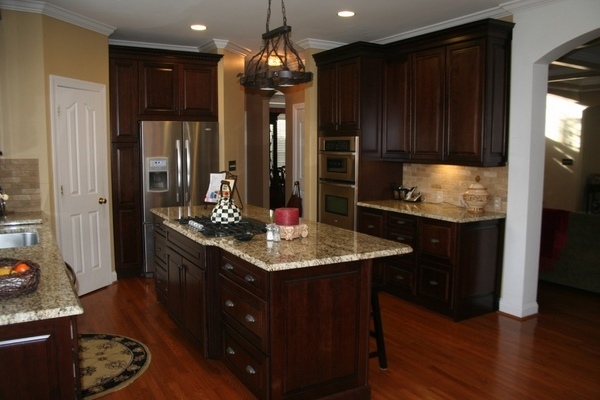 The cabinet color should be matched with the overall design style. 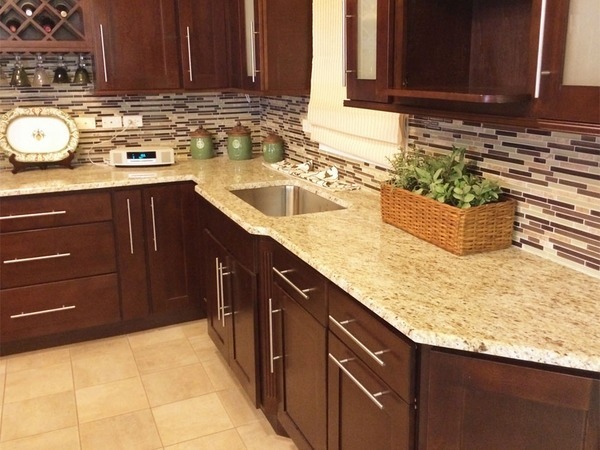 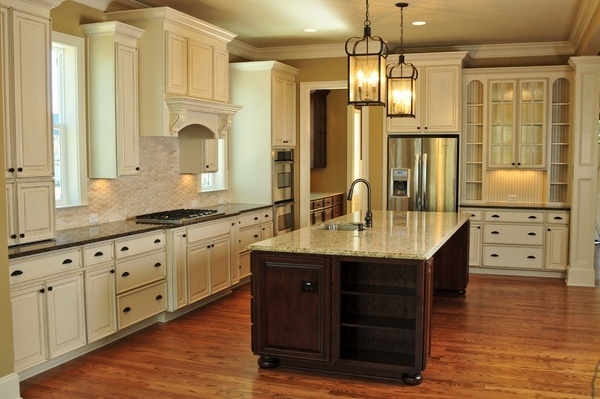 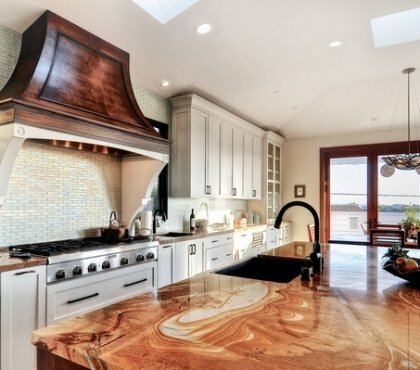 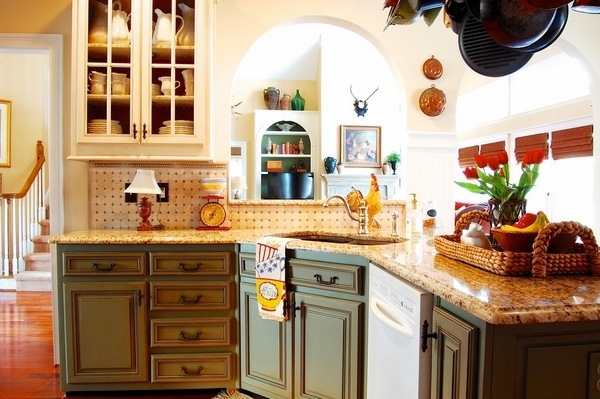 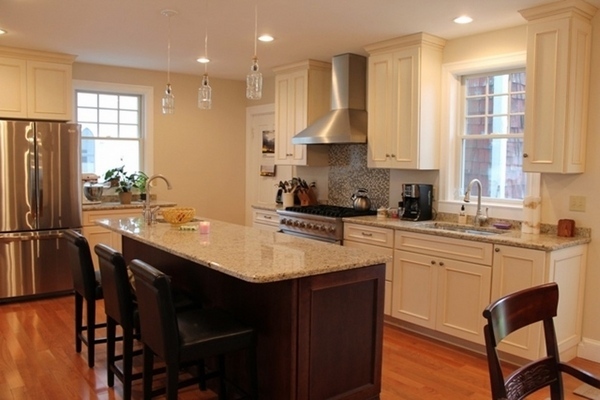 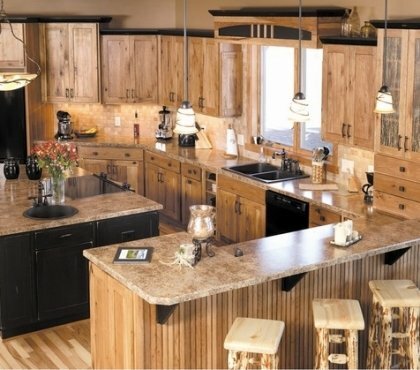 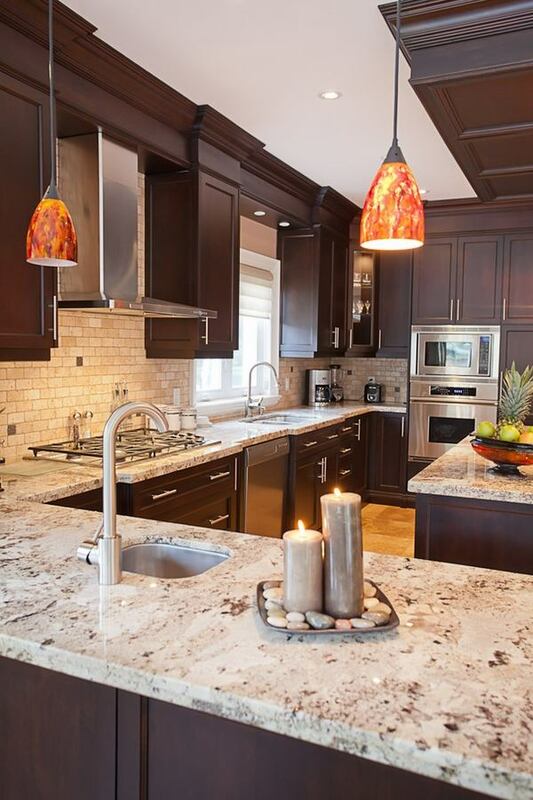 Giallo Ornamental granite countertops go well with rustic, traditional or modern styles. 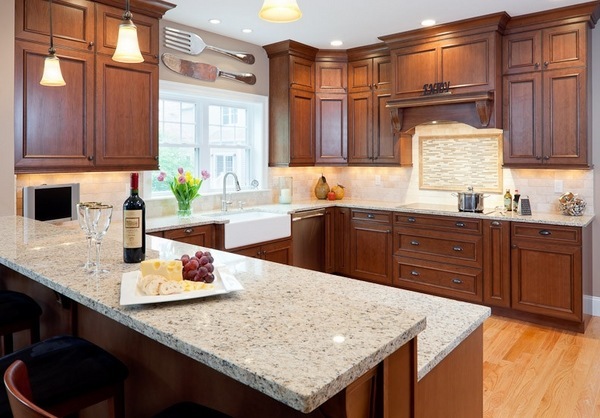 When it comes to choosing the kitchen cabinets colors that are suitable for Giallo Ornamental granite, the choice is almost endless. 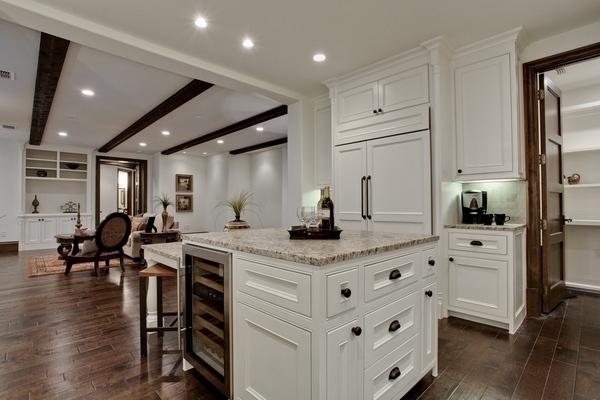 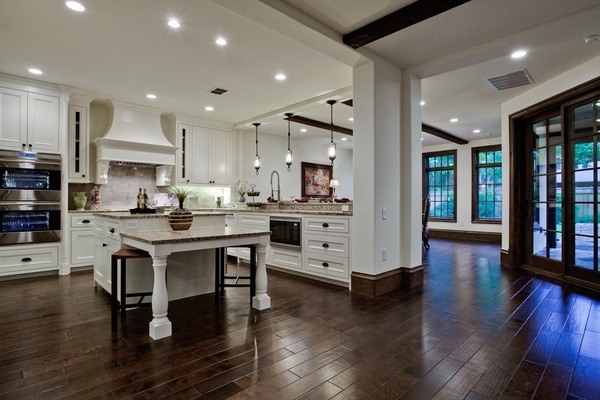 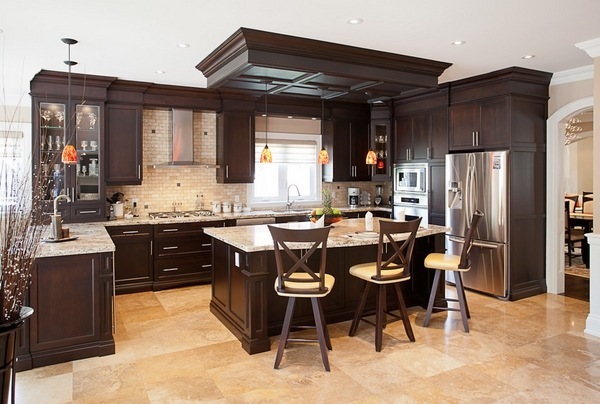 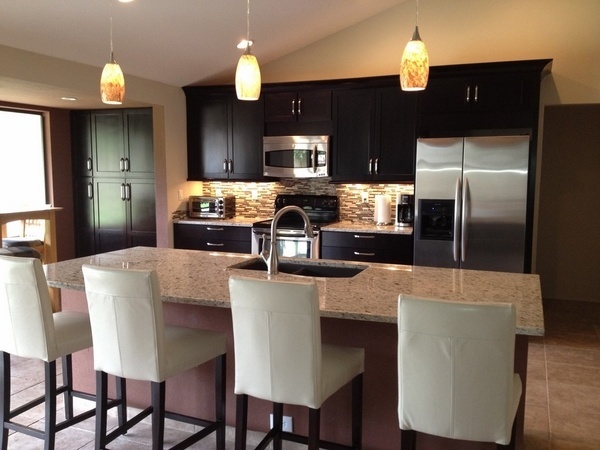 Light cabinet color adds to the feeling of openness and airiness while the dark cabinets will add a dramatic effect. 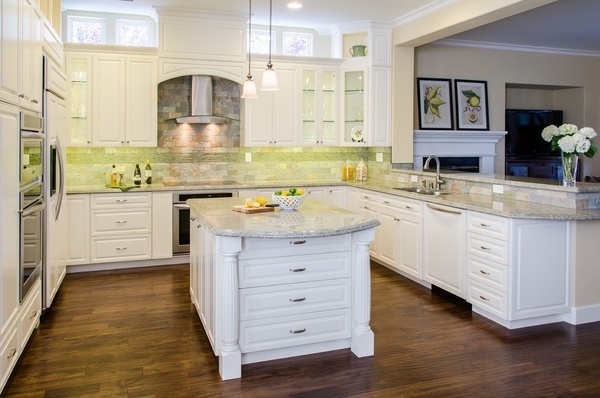 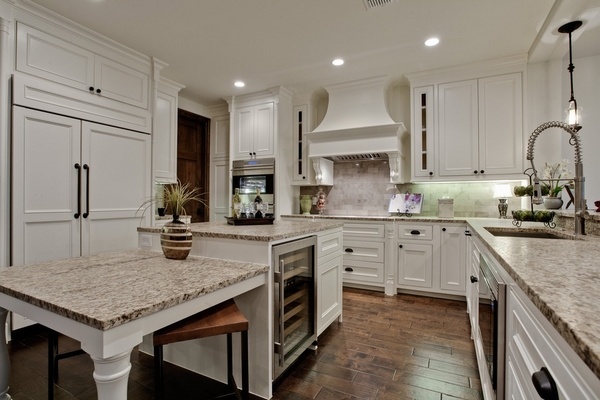 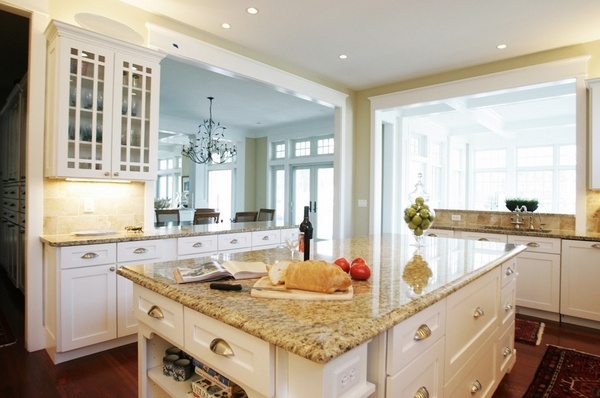 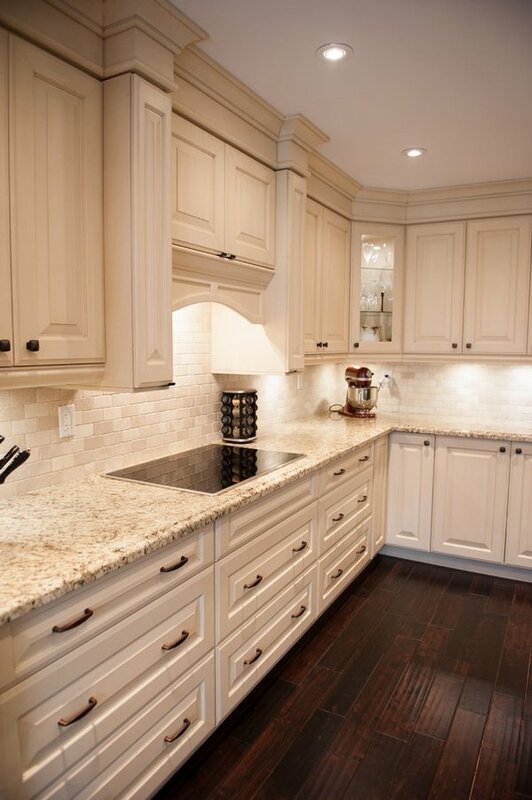 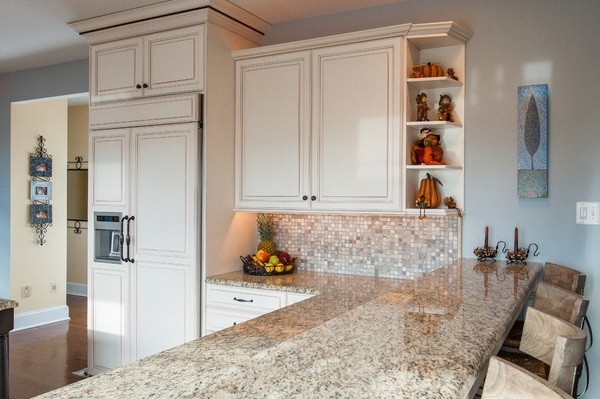 The darker shades of the granite slabs combine very well with soft white, cream and yellow cabinets. 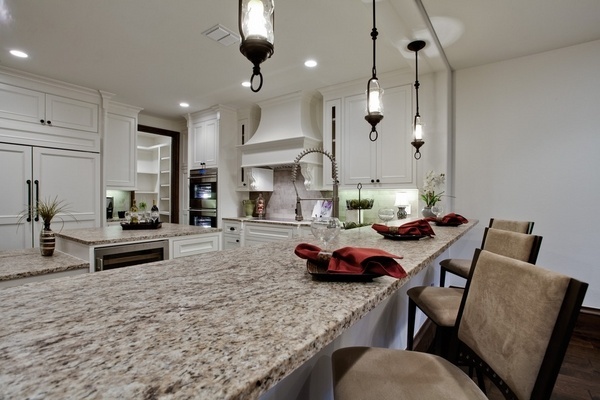 The lighter slabs will work with darker shades – espresso, gray, warm browns, mahogany or chocolate brown cabinets. 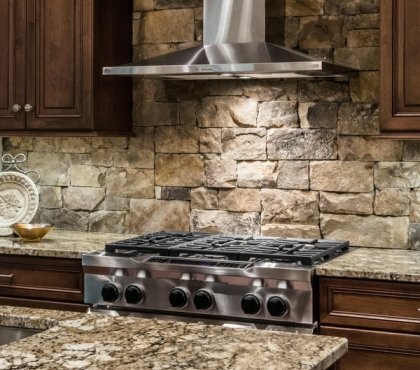 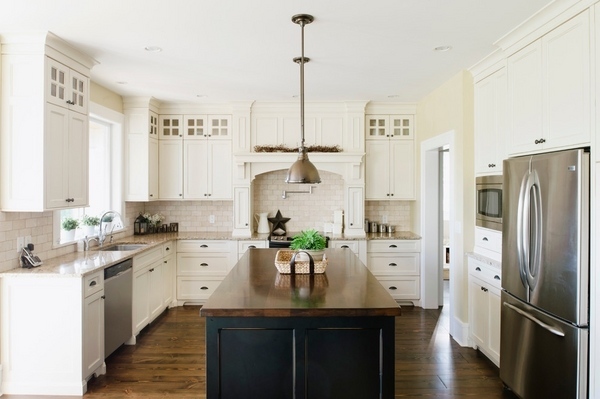 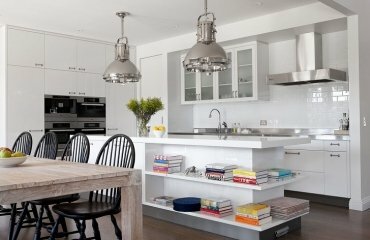 Accents like stainless steel appliances add a modern feel to the kitchen.